Connect with Adventist singles over 40 right now. Thousands of singles have found an exciting way to meet their potential soulmate and we're happy to do the same for you. If you're seeking true love, you could meet Mr. or Ms. right-for-you via one of the best dating site online. ChristianCafe.com is one of the best and largest dating sites for Adventist believers. We're true Christians matching Christians. Many other dating sites are "Christian" in name only. However, we're authentic and serious Christians who designed our singles site for the safety and enjoyment of Christ-like minded singles who want to connect with the right person online. By creating your free trial dating profile with us, you'll be one step closer to finding your true love online. Join us today and start mingling with other believers who are serious about starting a long-term relationship with someone just like you. Dating online works, as our 25,000 marriages is proof. Join one of the premier dating sites that has worked for thousands of other singles who met their companion with us. When searching for Adventist singles over 40, it can be tough, a the older you get, the harder it can become. But with ChristianCafe.com, you can put excitment back into your search for love. When you create a free dating profile with us, your search pool will increase a thousand-fold, as you can search for your perfect match anywhere you would like. That's because we've got singles all around the nation and world who are waiting to meet someone just like you. 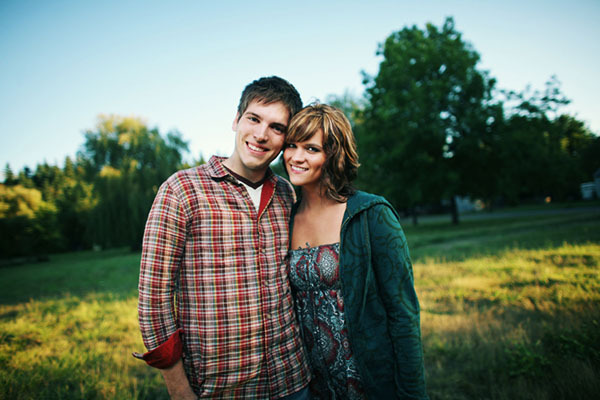 Start your true love journey today, by seeking Adventist singles over 40 in a safe and exciting environment. We've got someone for everyone, including those aged 40 and over. With thousands of profiles in our database, you'll be able to search for singles in your local area, around the country, and beyond. Our singles ministry can assist you in starting a new dating chapter in your search for your soulmate. So, if you're ready to put love and fun back into your romantic life, you've come to the right dating venue. You can put the days of longing for the right person behind you by joining with ChristianCafe.com for free. When you create your free trial profile with us, you're showing the world that you're ready to date, even after age 40. Our members are serious daters who know that our faith in Christ is the most important value when looking for a helpmeet. If you're trying online dating for the first time, you won't find any other site as authentic as ours. And once you try it, you'll understand why we're one of the few free sites that are worth checking out. You could meet your perfect match here for free. You simply need to create a free trial profile and the rest will be history. Connect and chat with real Adventist singles over 40 near you who are seeking romance, a serious relationship, and marriage. Online dating was never this exciting and safe. You'll gain instantly access to thousands of singles who are seeking someone, just like you, aged 40 and up. Don't let him/her slip away.